August 31 will be here before you know it. 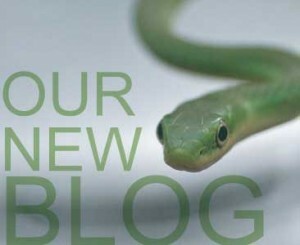 Register online today for the 2013 Midwest Herpetological Symposium and start planning your trip! Click on the Event Registration tab on the navigation bar to get signed up. Register three weeks prior to the symposium you will receive a free Midwest Herpetological Symposium T-Shirt. people interested in herpetology, he is also the author of over 70 publications on herps. Dr. Mike Dreslik: Massasauga Conservation in Illinois. Mike did his PhD work on the massasaugas of Southern Illinois. Curator of Herpetology at Henry Dorley Zoo in Omaha. in the herp department and is responsible for the entire hellbender project. returned working on his masters project with both the American crocodile and Burmese python. President of CIHS and an Assistant Professor at Millikin University. member of the Chicago Herpetological Society, he has been responsible for catching hundreds of released crocodilians. Justin Michels: Herping in Southern, Illinois. Justin is one of the premier filed herpers in the United States. **** If you have never attended a Midwest Herpetological Symposium this is a 24/7 event! If you like socializing, listening to speakers, eating, going to a sale, or herping, this event has it all! Many of the top breeders, herpetoculturists, and herpetologists attend this meeting. We have a hospitality area open all night if you fell the need to talk, we will be providing food and beverages. If you have animals to sell please bring them as well. be made at 1-800-659-2220 The cost of the rooms are $109.00 per night, please mention the symposium to get this discount. We have a forty room block available until two weeks prior to the symposium. House keeping will not be available if you have animals. The cost of the symposium is $75. dollars the dinner cost is an additional $20. the dinner will be catered by Bastas in East Peoria. on the Southern Illinois field trip, space is also limited. us. To attend just the sale is $5.dollars, full registration gets you into the show. Animals can be sold all weekend in your rooms only if you attend the symposium.